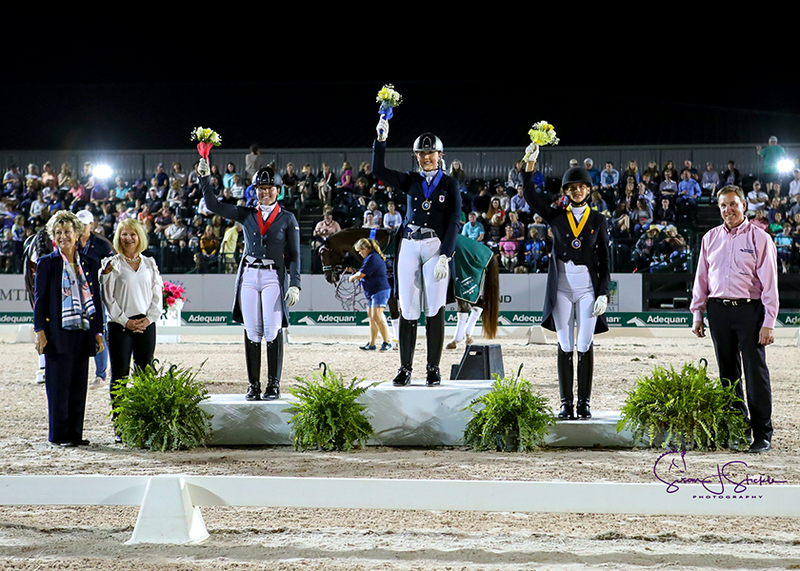 Wellington, FL – March 15, 2019 – The “Friday Night Stars” shined during Week 10 of the Adequan® Global Dressage Festival (AGDF). 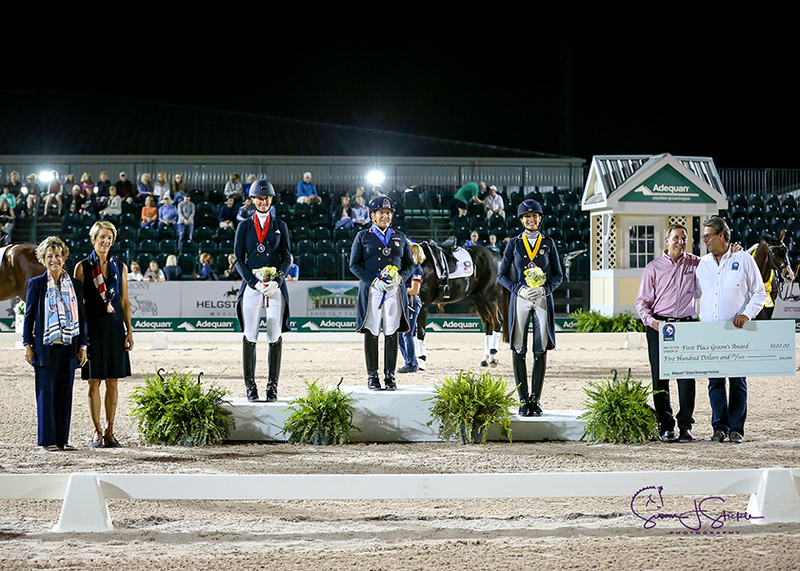 The night featured the FEI Grand Prix Freestyle 16-25 CDIO-U25 presented by Diamante Farms and the FEI Grand Prix Freestyle CDIO3* presented by Stillpoint Farm. 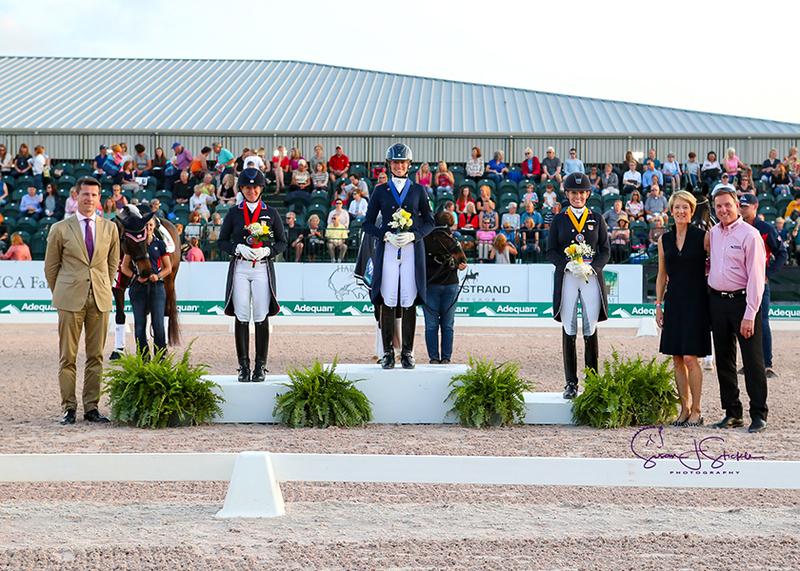 Spectators enjoyed a great evening of freestyles and the presentation of the FEI Nations Cup™ CDIO3* team medals. AGDF 10 wraps up on Sunday, March 17, and the circuit continues through March 31. 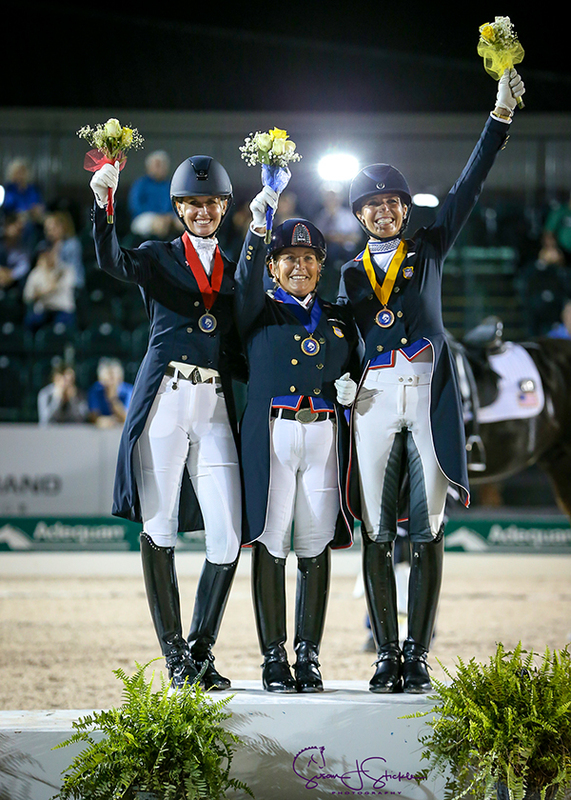 Shelly Francis (USA) and Danilo received the gold medal in the FEI Grand Prix Freestyle CDIO3* presented by Stillpoint Farm. The pair broke eighty-one percent with a score of 81.840%. “I’ve been making personal best the last three or four shows in a row. I’m kind of excited,” said Francis of her season with the 15-year-old Hanoverian gelding by DeNiro x Annabella owned by Patricia Stempel. “We had a strong week with the CDIO U25 and CDIO3*, but there is still some room for improvement. I was very happy to have Mexico and Colombia here, and a team from Germany in their first time back in quite a while. But, still we can have more nations. I hope it will grow in the future,” concluded Thomas Baur, Director of Sport at AGDF. Click here to watch Tina Irwin’s winning freestyle! 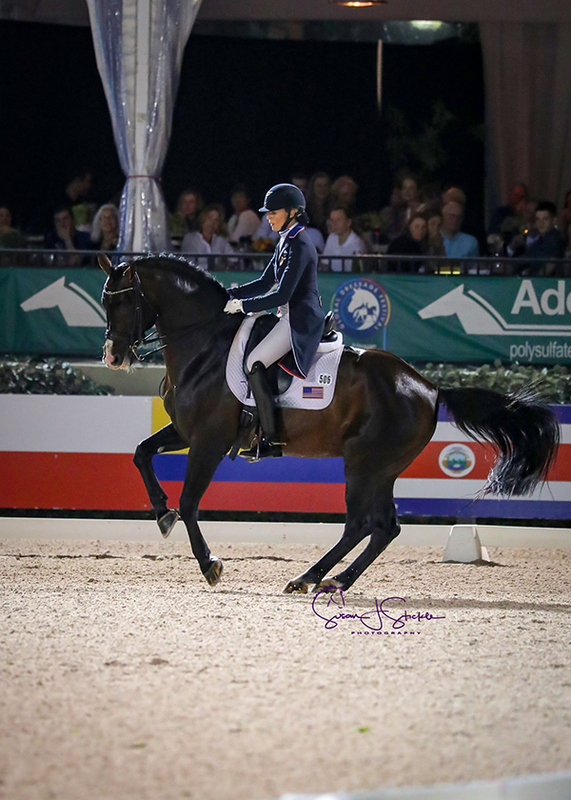 The silver medal went to Jennifer Baumert (USA) and Handsome with a score of 74.300%. 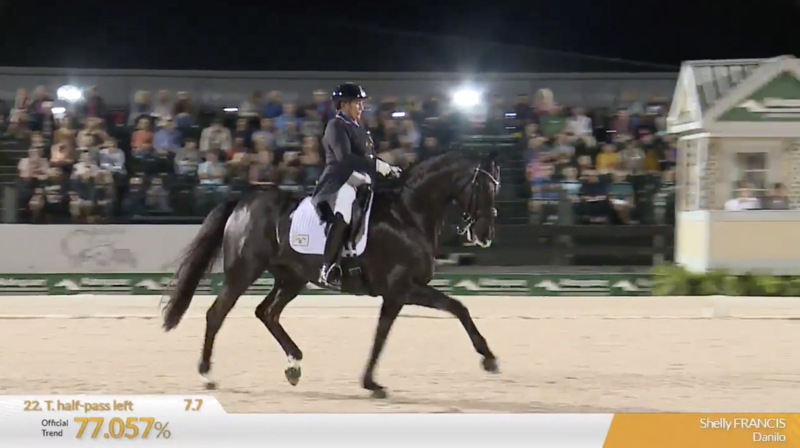 “I actually was so happy with yesterday that I tried to keep my warm-up the same,” said Baumert of the 14-year-old Hanoverian gelding by Hochadel. “To keep him sharp and make sure he was feeling good about himself. Valentine is very new to the CDI ring. The talented mare has only shown in 10 FEI classes, but she has won every single one. “She’s green, and the fact that she goes in there shows how far she’s come. Three days in a row for a young horse is a lot. 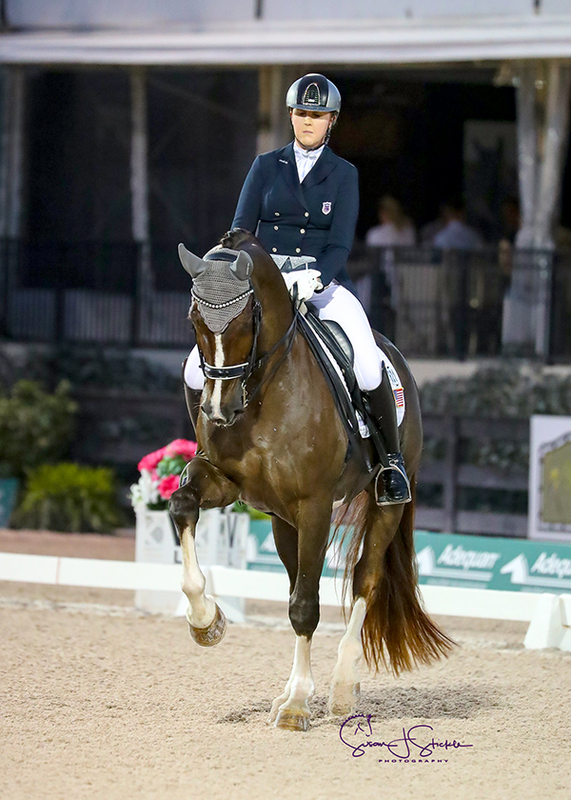 I just have to be patient, work my canter, tell her where she’s going, and I think she’ll be great,” concluded Holzer. 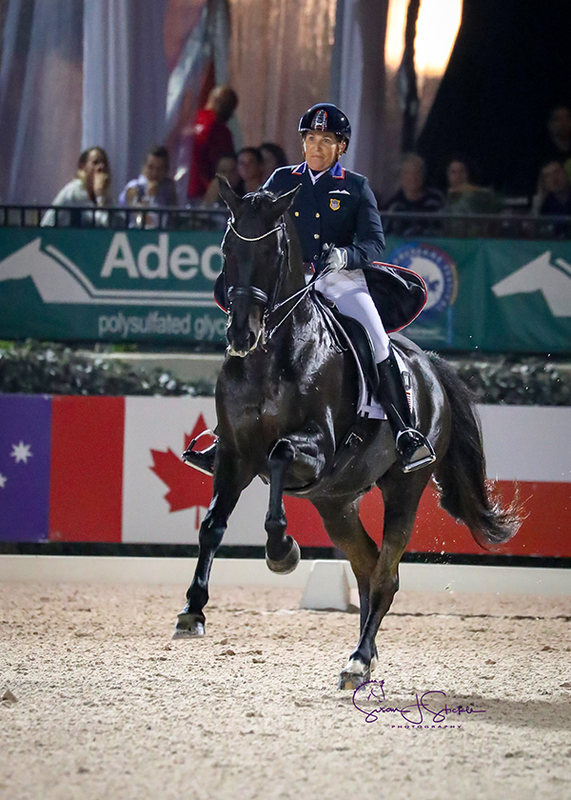 Kerrigan Gluch (USA) and Bolero CXLVIII captured the silver medal with a score of 71.700%. “This freestyle was originally not mine. I made some tweaks and made it my own,” said Gluch of her test. “I tried to highlight the horse’s strengths. I think the piaffe-passage is one of the horse’s highlights. I tried to use that to my advantage a bit. 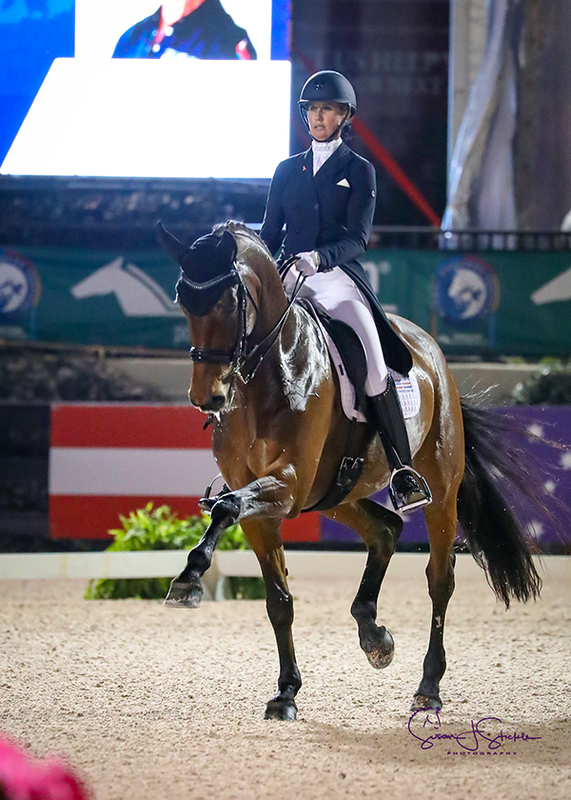 “I think overall the freestyle fits the horse really nicely; I think it has a good energy. I love the final centerline. It’s my favorite part. It has tons of energy, and I think the crowd and the judges enjoy it a little bit more. It’s an awesome feeling finishing on that,” concluded Gluch. Click here to watch the freestyle for Lauren Asher! 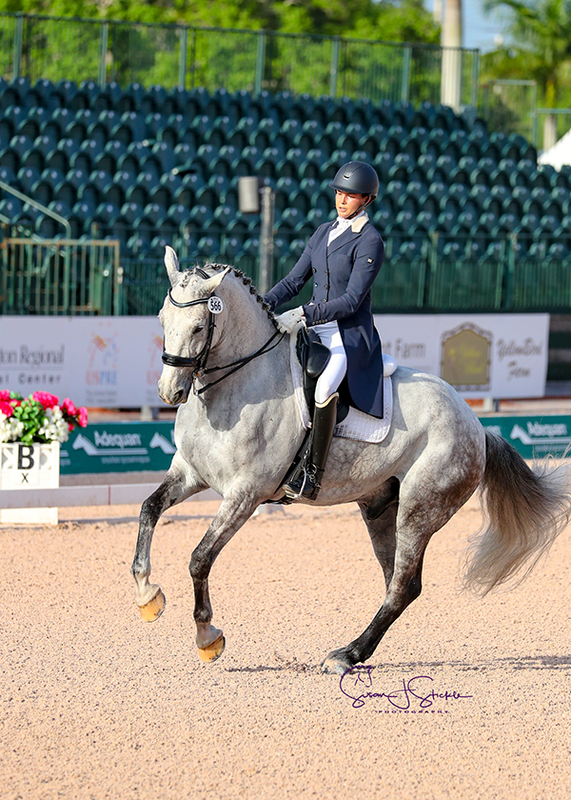 The day started with the FEI Intermediate I CDI3* presented by Yellow Bird Firm. 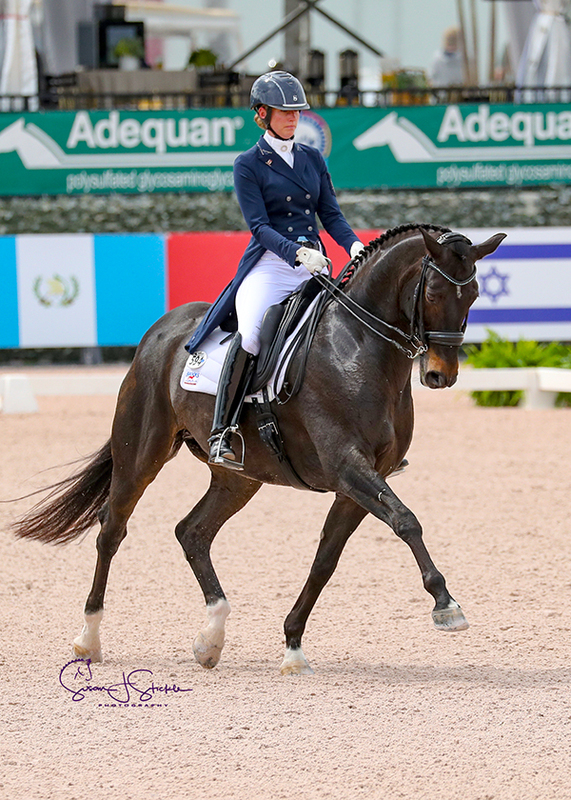 Anna Marek (USA) and Einstein JP, her 10-year-old Dutch Warmblood gelding by Democraat, rode to a win with a score of 70.706%. 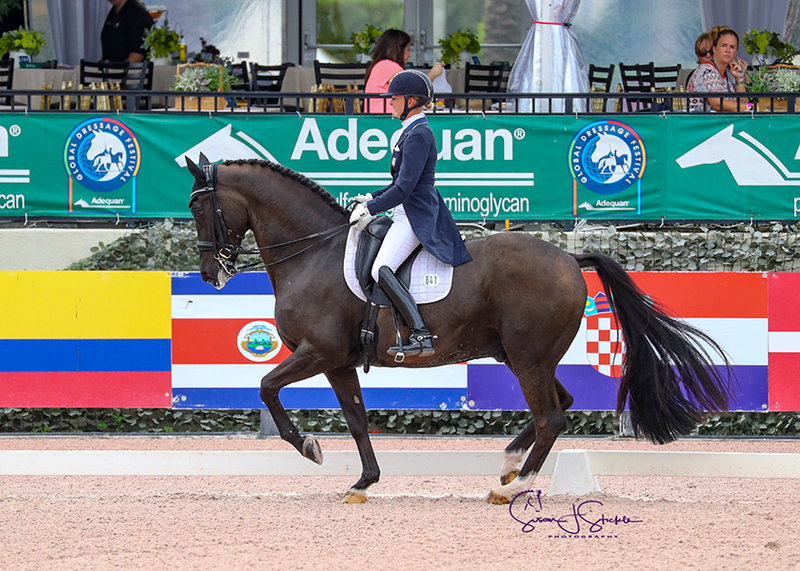 Katherine Bateson Chandler (USA) and Alcazar, a 14-year-old KWPN gelding by Cantango owned by Jane Forbes Clark, rode to a score of 74.695% to win the FEI Grand Prix Freestyle CDI3* presented by Harmony Sporthorses. Competition at AGDF continues on Saturday, March 16, and features the FEI Grand Prix Special CDI3* presented by Horseware Ireland. Week 10 of the AGDF runs through Sunday, March 17. For more information and to see a full list of results, please visit www.globaldressagefestival.com.